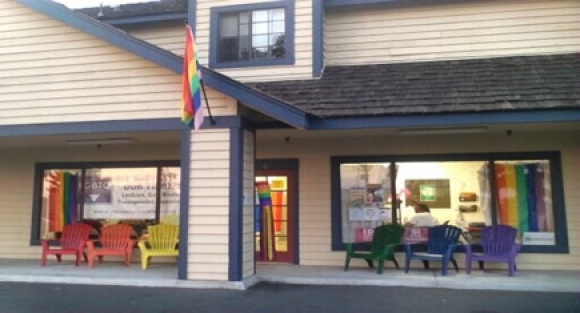 OCEANSIDE — The North County LGBTQ Resource Center that opened on Coast Highway four years ago has already outgrown its 1,300 square foot building. The center’s Executive Director Max Disposti is looking for a larger site to move to before its current lease expires in September. On May 20 the center moved one step closer to securing a new location. The Oceanside City Council approved up to $17,000 in federal CDBG funds for the center to remodel its new facility. The money will kick-start the center’s move to a city owned mixed-use site on Mission Avenue. The site contains low-income housing and office space. The center is poised to rent an office on the site, which will provide double the square footage of its present location. The space has sat empty for eight years. It has basic walls and plumbing, but no interior finishes. Disposti said renovation funds would allow necessary improvements to be made to the empty building shell. The lease agreement will be for five years, for an estimated $2,500 or less a month, which is the rent amount the center pays now. Disposti said the renovation and move in process would take some time. Disposti said once the lease agreement is finalized next week, the center would work with an architect to design the interior. The next step would be hiring a contractor to do the building. Disposti said the city would disperse funds as needed, and help the center through the process. Once the new site opens it would have three more rooms than the current center. This would allow more support group meetings, a larger youth area, and secure offices for confidential documents. It would also provide space for outreach training about the LGBT community for educators, police, and hospital staff. “We’re happy to grow into this bigger space,” Disposti said. Disposti said the interior finishes would be warm and inviting. He said the goal is to make the new center a welcoming place where people feel uplifted and empowered to grow as individuals. There is no solid timeline, at this point, on when the work will be completed. Disposti said his hope is to move in by September.